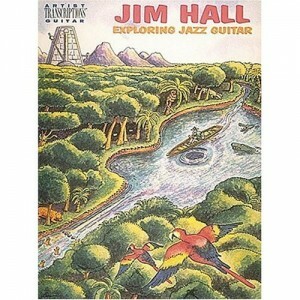 Exploring Jazz Guitar by Jim Hall. Milwaukee: Hal Leonard Inc., 1991. Personal thoughts and philosophies about creating and performing music; including an historical perspective of jazz guitar, an analysis of several original compositions, tips and techniques for guitarists. 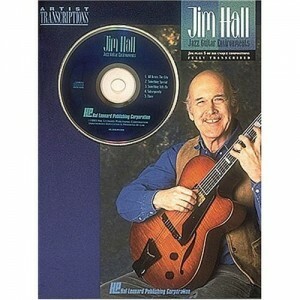 Jazz Improvisation: Transcriptions of Jim Hall Solos for all instrumental musicians. Supervised by Jim Hall. Japan: Nichon Publications Inc., 1980. Master Sessions with Jim Hall (Instructional Guitar Video) Milwaukee: Hal Leonard Inc., 1993. An open rehearsal with Jim Hall, featuring duo, trio and quartet performances with Larry Goldings (piano), Steve LaSpina (bass) and Bill Stewart (drums). Jim Hall: Jazz Guitar Master Class (a three-volume set) Japan: Rittor Music, 1994. The three volumes include Elementary Class-Basics of Improvisation; Advanced Class-Self Expression, and Ensemble Class-Interaction featuring Jim’s quartet with Scott Colley (bass), Andy Watson (drums), and Rasmus Lee (tenor saxophone).